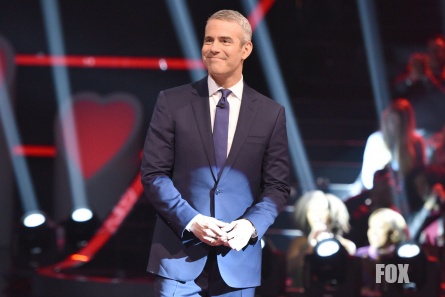 FOX network’s revamped “Love Connection” dating game show hosted by Andy Cohen is bringing a famous single onto the show from Cohen’s other hosting gig, “The Real Housewives of New York City”. 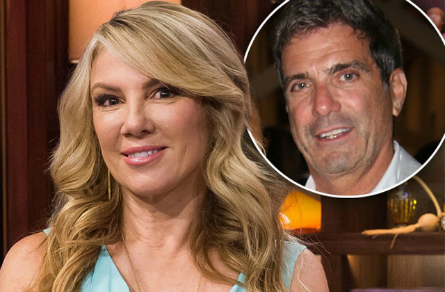 Ramona Singer from “The Real Housewives of New York City” will be joining Cohen on “The Love Connection” to find her a love interest in the Big Apple. The 60-year-old single, Singer was very open to the venture. Cohen, who co-executive produces “The Love Connection” with Mike Fleiss (“The Bachelor” franchise) stated that they took Singer out of her comfort zone. READ MORE About the New LOVE CONNECTION Here! One of “Love Connection”‘s taglines is “we don’t let fate decide, we let a date decide. Daters get to decide from three, not one (as in the original “Love Connection”), dates. Unlike the original “Love Connection” where daters chose one out of three choices to go out with, the new “Love Connection” pays daters to go out on all three dates and give feedback from all three. The contestant daters recap each date in the studio in front of an audience, who casts their votes for the best match. The daters rate each other twice on a scale from 1 to 10 on attractiveness and personalities. If the dater contestant chooses the same date as the audience to go out with again (on an “overnight” date) then they win $10,000. If they chose someone different than the audience, then they can either go out with that person for the $10,000 or forgo the money to go out with their favorite dater. During filming of the show, Cohen chatted freely with the studio audience in between takes and even let audience members ask him questions. He confirmed to one show attendee that his dressing room was “excessively” stocked with Whiskey. Cohen called Singer, whose nick-name is “Singer stinger”, a “tough New York city customer.” The show took her out of the box and matched her up with guys she never would have met in New York. Cohen said he’s known Ramona for 10 years. Singer commented that she married at 37-years-old because she wanted to make sure that she was financially independent. She stated that she married for love and never thought this would happen. Her suitors were all very different. First there was Mark who is obsessed with wrestling. Next, Kenneth is a 51-year-old retired fire-fighter. Last, Richard who is 55-years-old and was a sports caster for 15 years. Cohen called her the toughest housewife of New York and on many occasions she’s terrified him! Cohen said Singer was the only Housewife that came on the “Love Connection”. He also said Singer is the only one that anyone would recognize. Though, as viewers will see, none of her daters knew who she was. Mark said he wasn’t impressed by Ramona and didn’t like how she was dressed (she wore jeans and sneakers). In fact, he said he liked how she looked on the show than how she looked on their date. Mark’s first impression of Singer was that he didn’t expect her to be the age that she was. Singer called him “not very sophisticated.” He said she had a black eye during the date which brought-down the score he gave her for first impression looks. She said it was a small bruise. He took her to “a chain restaurant” – The Olive Garden. This did not go over very well with Singer as viewers will see. The show gives $300 to each date for expenses. Kenneth took her to a winery. Cohen said “let the adventure begin.” He loved her flirty side. When they rated each other’s looks, he gave her an eight. She rated him a nine. He described her as really down-to-Earth and approachable. He also said that he wouldn’t have thought her to be a celebrity. She said Kenneth was not very established. She told Cohen that she needs someone who is on the same page. When rating each other’s personalities, they gave each other tens. Pictured: Ramona Singer with Mario (inset). Date number three’s name was Rich. Cohen immediately pointed-out that he reminds him of Ramona’s ex. She said he’s gorgeous. More gorgeous than her ex. His love for his children, she said is very important. He said she was beautiful and engaging. Easy to talk to. He didn’t know that she is on the ‘Housewives and she never told him. Their personalities rating to each other were both scores of 10. Between takes, Singer told Cohen that guys 10-15 years younger than her would approach her in New York. But, guys in their 50’s are perfect for her. Singer played for a charity called “Joyful Heart” for Domestic Abuse which would get the $10,000 prize money if she chooses the same date as the audience chose for her. 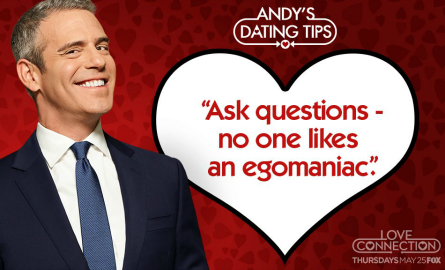 Viewers can watch to see if Ramona Singer will find “rejection or affection” on “Love Connection” when her episode airs on Thursday, July 13 on FOX.